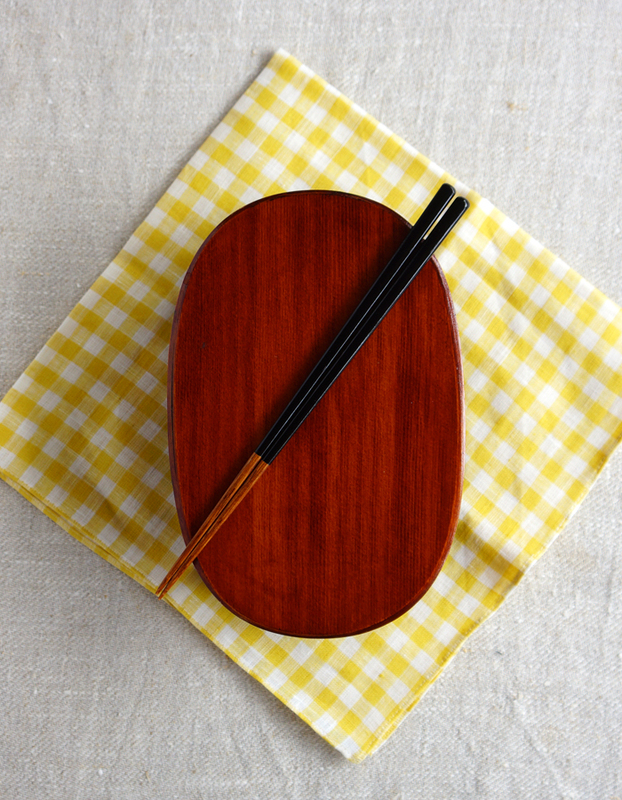 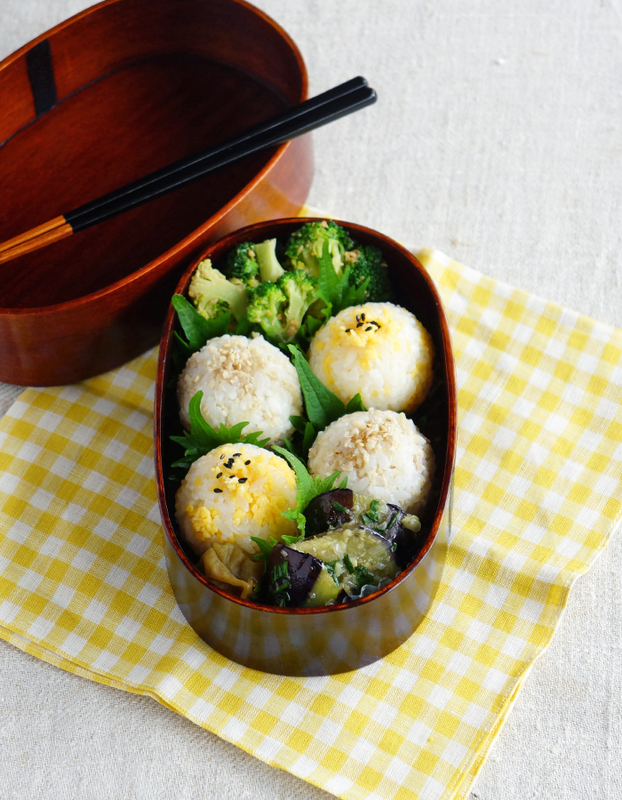 Soboro, minced chicken and eggs is one of great onigiri fillings, as well as the rice toppings. 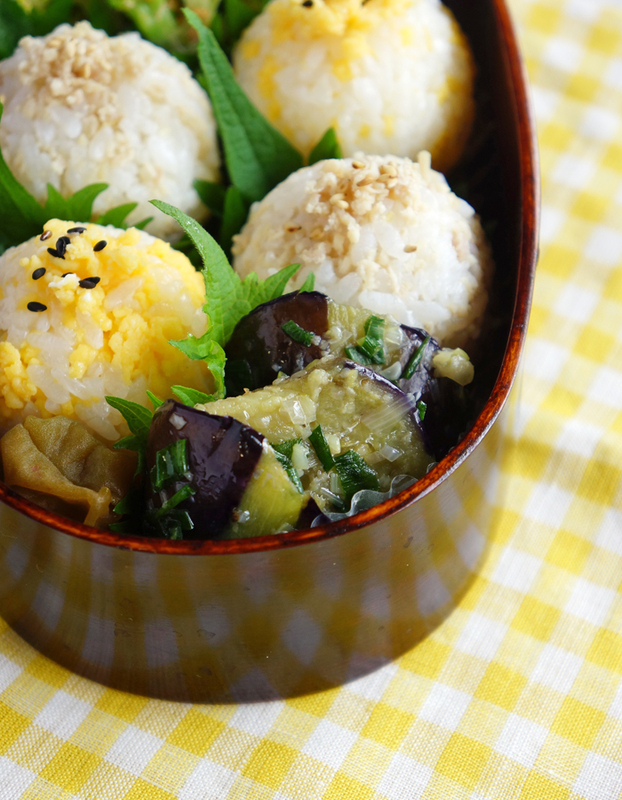 The eggplant stir-fry is my favorite summer dish. 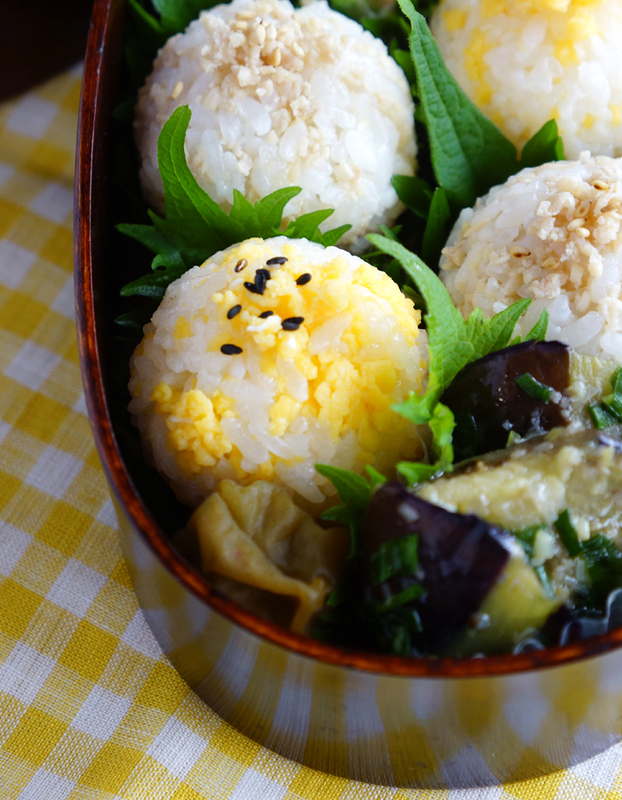 Cut eggplants into bite-sized pieces and stir-fry them over medium-high heat with finely chopped ginger and scallions, sesame oil and salt/pepper. 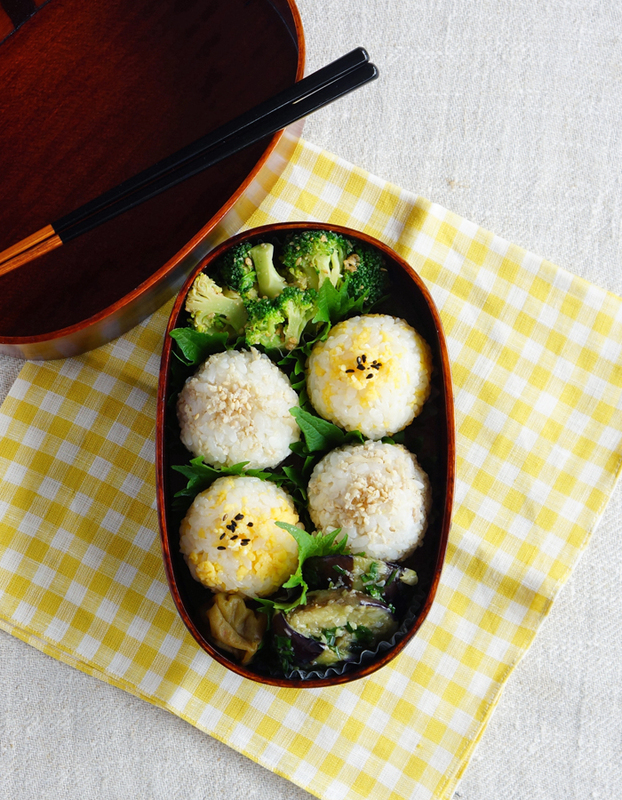 When you pack tiny rice balls like these ones into the bento box, they are a little delicate, so put each of them on clear bento cup and then pack them.